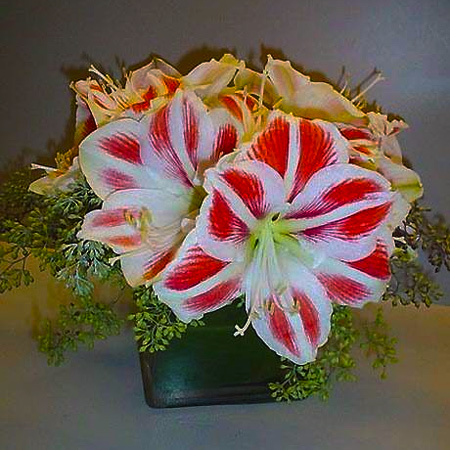 Create sweet Holiday memories with this beautiful arrangement of gorgeous Red & White Amaryllis with seeded eucalyptus housed in a square vase with an exotic leaf wrapped inside. It is the perfect way to say Happy Holidays or bring the spirit of the Season to your own home! A fun way to give the look and feel of Candy Canes ...without the calories!